The last time I checked how much have I invested versus how much cash I have on hand was almost 5 months ago which was in June 2018. At that point, I held thirty five percent cash and sixty five percent invested. 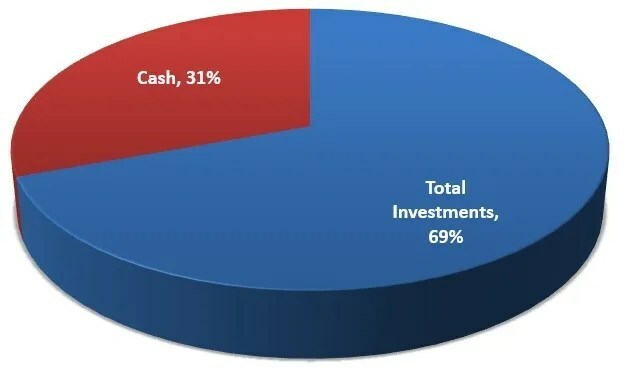 As of 17 November 2018, I held 31 percent cash and my investment makes up sixty nine percent. Knowing how much cash I have on hand is important as I know usually this is the period where the festive season is nearing and my expenses will increase due to buying Christmas presents and eating out at restaurants during family and friend gatherings. I needed to know how much extra cash I have to invest and thus to prevent over investing. Last month, I paid in advance my daughter’s tuition fees. Recently, during the 11.11 sales, I bought myself a Nintendo Switch. This is not a necessity but I think playing it with my children will be fun and at the same time improve family bonding. One week ago, I bought a new pair of spectacles as my current spectacles are more than three years old. My eyesight have worsen. I guess this cannot be avoided as we are surrounded by electronic gadgets daily. All of the above are big expense items. Here is a summary of the expenses. Item Bought Amount Need or Want? Next month of December is where most companies pay out their annual wage supplement or so called the “13th month”. It is also the last month for those who wanted to top up their supplementary retirement account to get tax rebates. I have not been very self discipline in topping up my supplementary retirement account this year. In fact, I have only been contributing to my supplementary retirement account these few months. I shall check how much cash I hold after getting my “13th month” wage before deciding how much further to top up my supplementary retirement account.